In Jakarta's gleaming center a man and a woman watch each other from adjoining skyscrapers. The man, a journalist, has on his desk reports he doesn't dare publish of a massacre in East Timor. He contemplates the demands of truth and confronts the split in his world between a sophisticated urban life where the women waft by in signature perfumes, and the primitive oppression of Indonesia's army state in East Timor. Only jazz mediates. A music of raw emotion and powerful refinement, urbane yet born in the growl and moan of generations of slaves, jazz is not literal, but absolutely true. So too this novel, which defied Indonesia's regime of censorship and made available, in its pages, the heavily censored reality that journalists dared not report. 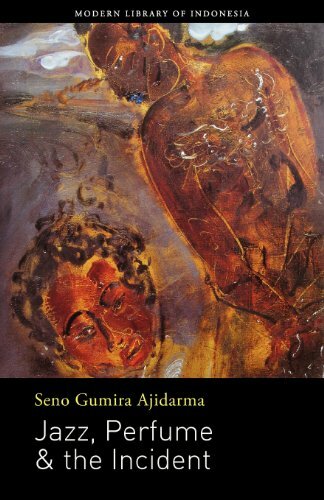 In Jazz, Perfume and the Incident, Seno Gumira Ajidarma combines the surreal and the actual in a way that forever changed Indonesian literature and political discourse.